At a press conference this afternoon, New York City FC officially introduced Jason Kreis as the club's first head coach. We'll have a full report on the press conference once they post the video, but there are some early pull quotes that bode well for the club's direction. 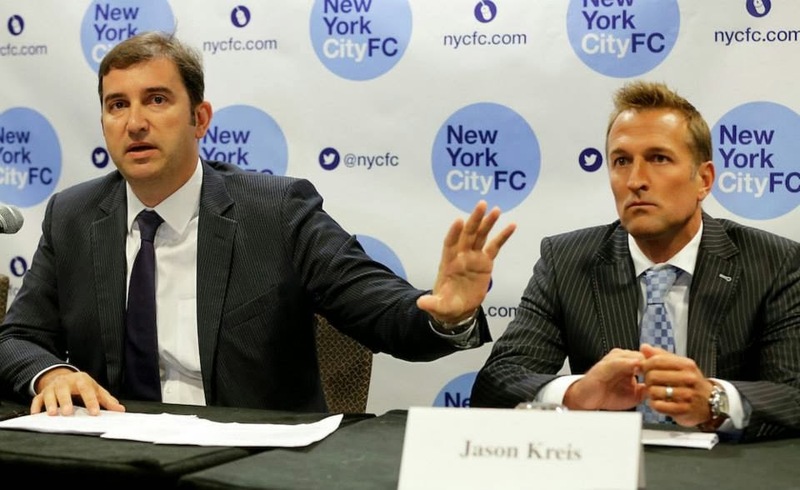 "We're building a top class club, that's going to be rooted in New York, that will use City resources around the world. There's no marketing trick here, it's just playing good soccer. 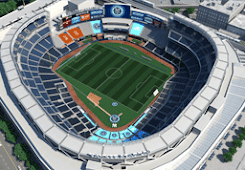 We can do that in New York, and that will attract fans." "We will have an academy. Also important that we find good partners that have been doing it for a long time." "We want to make sure that this team has a New York feel. This is the greatest city in the world." "Maybe one day, yes, it will be one of the premier clubs in the world. 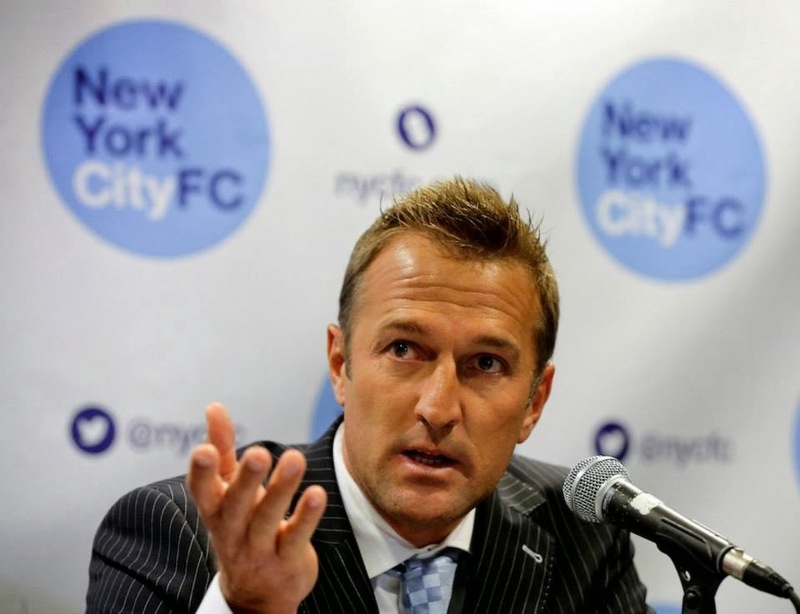 We're very excited about what #NYCFC can become." "It was very important for me to get an American coach, and an American coach who had a great understanding of the league.... We're going to do everything it takes to make sure he has the right players. We're going to look all over the US, we need domestic talent first. And we're going to look all over internationally." 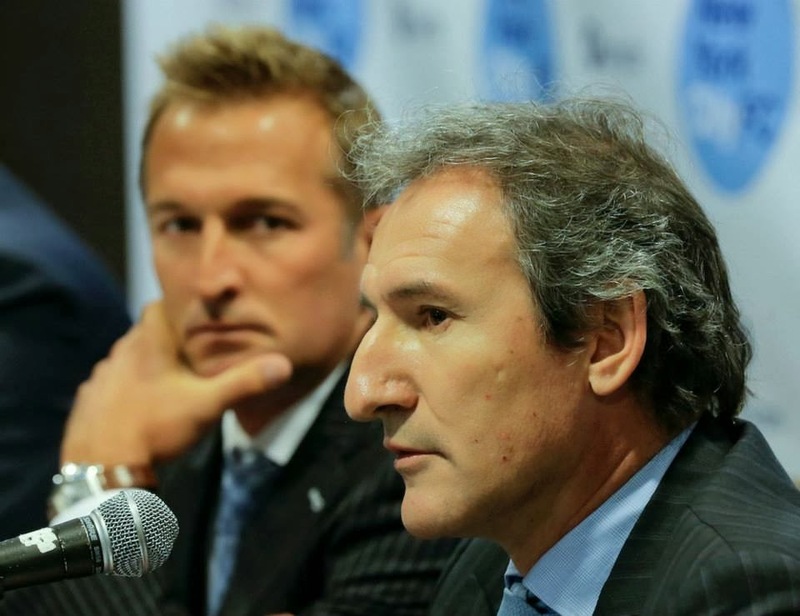 "I'm quite certain that we will sign 3 Designated Players. I'm also certain that they will be the right people." "The opportunity is in front of us, and we fully intend to reach out and take it." I hear an echo of his personal motto "Audentes Fortuna Juvat", or "Fortune favors the bold", in that last quote. There's a lot for fans to look forward to.